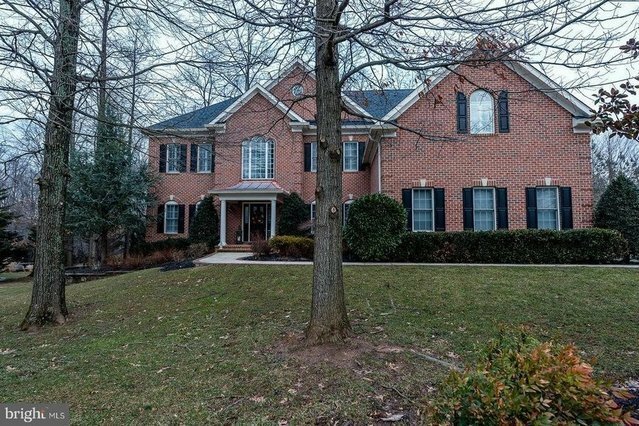 Beautiful 4B/4.5BA, Custom Built Dale Thompson home, corner treed private lot w/4 sided brick.3 Car Garages, Garage Tek system, underground sprinkler system, New 2018 Certainteed Landmark Pro Shingle roof w/transferrable warranty, Gutter Guards, 2014 Well w/Well Yield btwn 4-5gal per min. Gould Well Pump w/Centri Pro Pump Controller-constant water pressure at 70 psi or more if needed. 10' Ceilings, Cathedral, two-story and custom tray-ceilings, SOLID WOOD doors, flooring, extra insulated walls in the interior of the bedrooms for sound proofing, A Bonus closet storage room plus storage organizers in every bedroom. 3 Season Screened Porch w/replaced screens in 2018, 2 interior fireplaces and 1 exterior fireplace, New 75 Gal Bradford White Water Heater, Humidifier, Water Softner, Radon System, Stone exterior hardscape and fireplace, Fresh paint throughout 1st and 2nd floors, full finished LL w/Wet Bar, gigantic family room area with fireplace, gaming/pool table and extra entertaining and reading areas of enjoyment. MORE & MORE & MORE STORAGE....MUST SEE! Appt Required, please allow 1 hour notice, Showing Time.